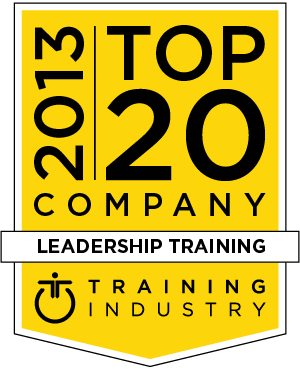 As part of its commitment to continuously monitor the training marketplace for the best providers and services, TrainingIndustry.com has released its 2013 Top 20 Leadership Training Companies List. Ken Blanchard Companies helps companies improve their performance, productivity, and bottom-line results. Their comprehensive learning initiatives integrate research-based, proprietary content with processes that are specifically and explicitly connected to the critical business issues that your organization is facing. eCornell, a wholly-owned subsidiary of Cornell University, provides many of the world’s leading organizations with online professional and executive development in the areas of leadership and management development, human resources, financial management and hospitality management. As part of our commitment to continuously monitor the training marketplace for the best providers and services we announce the 2013 Leadership Training Companies Watch List. The 2013 Leadership Training Companies Watch List is intended to help buyers of training services evaluate leadership training providers. NeuroBusiness Group (NBG), LLC is an executive training and coaching company, bringing cutting-edge training and coaching with members and partners worldwide. Offering unique insights from brain science combined with sophisticated data-driven approaches from organizational psychology, NBG constructs tailor-made programs to suit company needs. Best Practice Institute (BPI) produces online learning sessions, Webinars, BPI work-groups, on-site thought leader and executive case driven conferences, research publications and a knowledge and certification portal for its subscribers. Enspire Learning’s flagship simulations put people to the test. Whether clients are developing leadership, business acumen, or management skills in a team, Enspire’s challenges provide a feedback-rich environment for people to gain insights from their experiences.